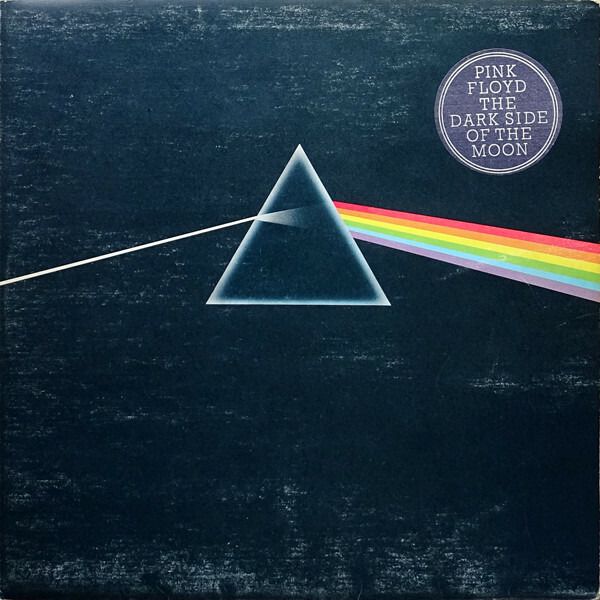 Released March 1st, 1973 by the artist Pink Floyd, Dark Side of the Moon is the 8th studio album by the English rock band that has since reached infamy. On the vinyl version, each side of the record is a continuous piece of music that creates an experience that can’t reasonably be explained. It’s a fantastic album, best suited to break in any new sound system with. So, now that we’ve got that out of the way, let’s talk about the actual dark side of the moon, because this moon phase is a unique and mysterious thing all on its own. The way the moon moves around the Earth there is never a moon phase that isn’t the same face pointed at us. The part of the moon that faces away from us is sometimes referred to as “The Dark Side of The Moon”, even though that’s more of a misnomer. It’s more proper to refer to it as “the far side” of the moon, because it will face the Sun more than it will ever face the Earth. The far side of the moon should be just like the near side right? Surprisingly, they are a lot different. The far side of the moon has a lot more impact craters than the near side does, and a lot fewer of the lunar maria that we’re so accustomed to seeing on our side of the moon. Sidebar: The Lunar maria are the large, dark, basaltic plains on the moon. They’re responsible for the “man on the moon” phenomenon that watches over us on Earth. The lunar maria are typically formed from volcanic eruptions, which makes it even more interesting that they’re not spread more evenly across the surface. When Scientists investigated the reasoning behind this anomaly on the far side of the moon they discovered something rather peculiar: the crust on the far side of the moon is much thicker than on the near side. While at first this explains the lack of lunar maria on the far side (as it’s much easier for basaltic lava to bubble up through to the surface if the crust is softer and more malleable) and it explains why the far side is much more pockmarked and cratered. 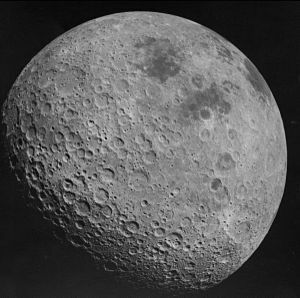 The softer crust of the near side of the moon will have absorbed the impact better and evened out more so over time than the harder and far side of the moon would. But, this fact raises so many more questions and theories than it answers! Why is the far side of the moon so different from the near side? Why is the crust so much thicker? We have no definitive answers on that one yet, but two very impressive theories/hypothesis have emerged in an attempt to explain this peculiarity about the mysterious moon phase. You can read a more thorough explanation and the theories themselves about this invisible moon phase here! Even though it’s sometimes called the dark side of the moon, this is really only applicable during the full moon phase. Since it’s always facing away from the moon, it’s actually fully illuminated during the new moon phase. The better term for it is the “far side of the moon”, which is always applicable, no matter what the moon phase is today. Surprisingly, nobody has actually stepped foot on the far side of the moon. Everything we know about it comes from a combination of satellite pictures, space probe images, and the eye accounts between of the Apollo astronauts that have seen it from above. The Apollo 13 mission was the most famous to have seen the far side of the moon. They got a magnificent view as they looped around the moon to make their journey back home to safety. The first images of this elusive moon phase were taken in 1959 during the height of the space race between the Soviet Union and the United States. They were taken by the Luna 3 space probe that the Soviets launched. Of the many photos taken only 18 ended up being resolvable. They used those photos to create the first atlas of the far side of the moon. Because it’s constantly pointed away from the Earth the far side of the moon is shielded from radio waves from Earth. This has inspired several astronomers to push for having a radio telescope installed on the far side of the moon. A radio telescope is capable of recording images and information on a more intense level than any optical telescope is capable of. And without all the radio interference from Earth it could get a new level of depth that we’ve never seen the likes of again. Read about radio telescope and how it can affect the far side of the moon here! From Aliens to weapons testing, there are no shortage to mysteries and conspiracy theories about the far side of the moon. Aliens supposedly have bases all around the dark side of the moon, and they use it to monitor life and subtly influence humanity from their self-sustaining bases. All of the photos that have been released have been doctored, and all of the astronauts who have actually seen these bases have been threatened and influenced into keeping quiet about it. There are other rumors that the soviets actually did make it to the moon, and tested out their nuclear weapons in space. Bonus points for conspiracies that meld the two, the Russians were trying to nuke the aliens and were forced to stop when they turned their death ray towards Russia. The dark and far side of the moon has been shrouded in as much mystery as it has been shrouded from our sight. It’s a facet of the moon that we rarely think of, and it’s something we’ll be studying until all of the mysteries are solved, and when will that be? Only the moon knows.